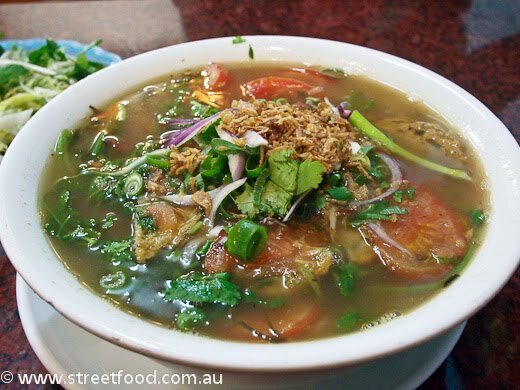 The medicinal motherly love of noodle soup at one of our favourite Marrickville hole-in-the-wall Vietnamese joints, Pho Hanoi Quan on Illawarra Road. 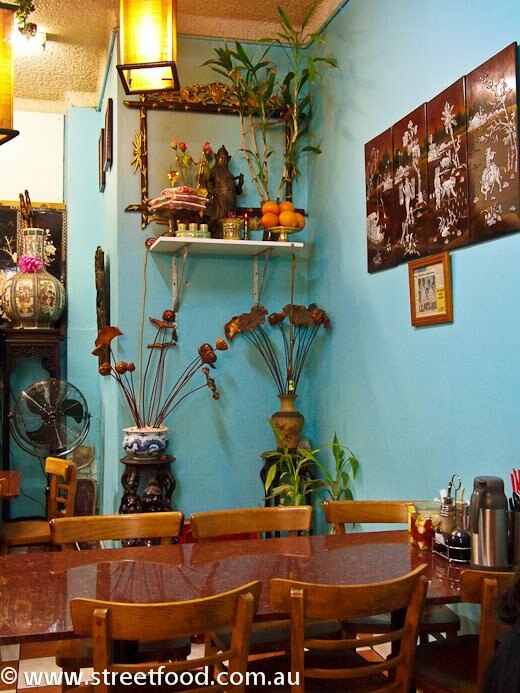 The kitschy decor and the lovely staff make this a cheery, warm and cosy place to visit. We feel safe with boss pussycat looking over us. 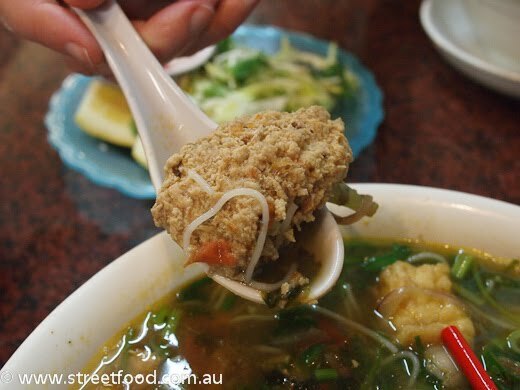 Fish cake noodle soup, a huge bowl of it for only $8, one of the best value feeds in town. The broth has a light fishy base with a little citrus tang. What gives it wow factor is a herb that we were unable to identify, it has a 'grassy' flavour that makes the broth taste super fresh. We asked the boss lady what the herb was, she said it was 'vegetable.' Miss Chicken did some homework and thinks it could be a type of dill. The fish cakes are delicious, the boss lady proudly tells us she makes them herself. This soup is probably our favourite dish here. Watch out for the tomatoes, they really stay hot! Crab meat noodle soup $8. Also a huge serving, great value. The little side serve of extra herbs, lettuce, bean sprouts, lemon and chili adds more flavour to taste. The crab comes in cake form, like a light crab rissole, delicious. Little crabby bits break of and mix in with the noodles, it's one of those soups that get tastier as you get to the bottom. I love my crabbie patties as much as Spongebob does, though the fish cake soup is the better of the two dishes in our bloated opinion. On another visit we go for the Hanoi grilled pork with rice noodles, about $9. Like a bun thit nuong but with more salad. The pork is divine. Fried chicken with noodles. Another winner, about $9. 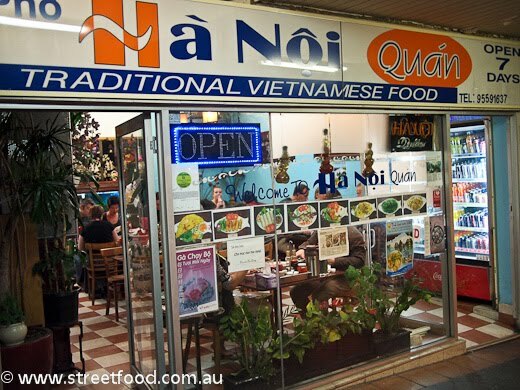 Pho Ha Noi Quan is at 346B Illawarra Rd. It's across the railway from the main drag, opposite the Hellenic Bakery, which is highly recommended in the unlikely event you have any room left for sweeties. 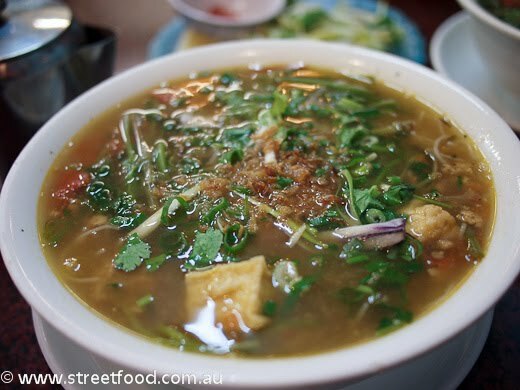 We have blogged this place before, sorry for ordering the same dishes, but we just love these soups. 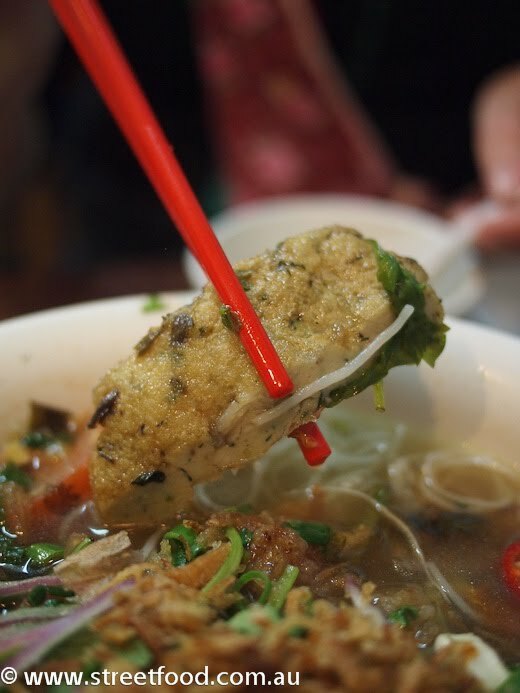 I am definitely going to try that fish cake soup. Just had the fish cake soup, and as you said delicious. The food court looks as empty as ever, I think it was an ambitious move that may not come off. 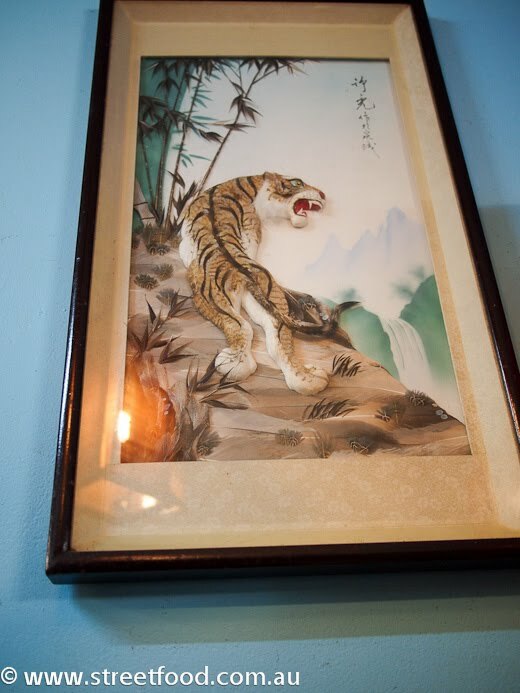 Have you tried the new Lotus "asian" restaurant across the road, I have been meaning to have a look at the menu. CRab meat noodle soup looks so fab! And what great value! The herb I think is Rice Paddy leaf...it has a lemongrass/lemon flavour. I know this is an old post but this is my favourite vietnamese! I love the owner's kids always running around and the random decor. to the commenter that mentioned Lotus, I have been there and the food is really delicious! I was skeptical as it always looks empty but the menu looked good so we decided to give it a try. Great food but you're right about it being in the wrong suburb - it's too expensive for Illawarra Rd and probably too westernised/'fusion' style. If it was in Surry Hills people would be raving about it! Thanks for the herb clarification. Think we need to go back soon before this place gets all done up like the others in Marrickville.